David Sebire, Group Chairman. Andrew Leiper, Director. 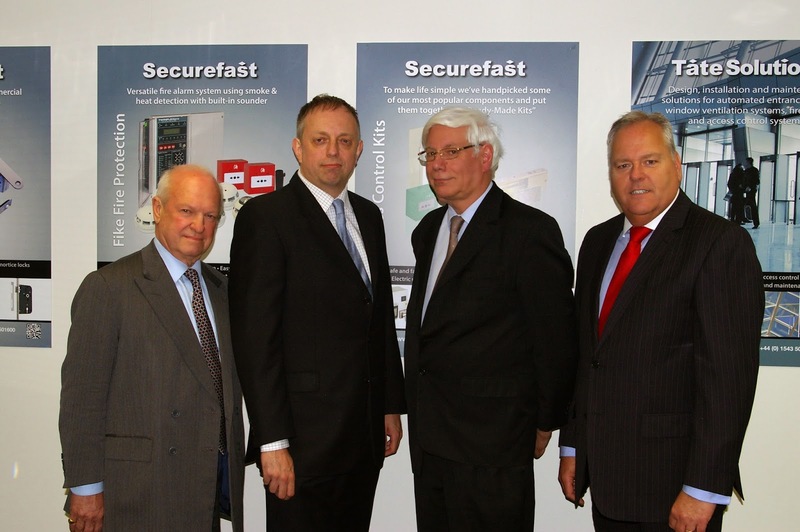 SECUREFAST PLC one of the UK’s leading manufacturers and distributors of access control and locking products has acquired Innovative Electronic Technology Ltd. (IET), a UK manufacturer of access control systems incorporating building management software and hardware. “Innovative Electronic Technology adds important new technology products to the current product portfolio offered by the SECUREFAST Group,” says Duncan Crawley, Group Managing Director. “The acquisition of Innovative Electronic Technology considerably enhances the Group’s position within the access control market and enables SECUREFAST to offer a more versatile British made product to its growing customer base”. “Innovative Electronic Technology is an exciting addition to our portfolio, enabling SECUREFAST to incorporate both current reader options and more advanced biometrics via our established Entra access control package,” says David Sebire, Securefast Chairman.